Ready to take Contact Centre Planning to the next level? Are you ready to take Contact Centre Planning to the next level and accelerate your success with Workforce Management? 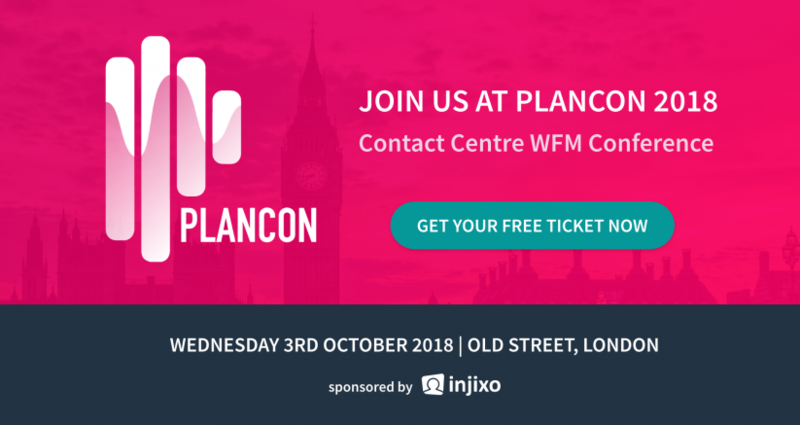 Join injixo at PlanCon – The Conference for Contact Centre WFM Hereos! This year, injixo launches its first WFM Conference – PlanCon – a must-attend event for Contact Centre WFM Heroes. Whether you’re a Planner, Forecaster, Scheduler, Real-time Analyst or Resource Planning leader, there’s something for you. PlanCon is designed to provide the inspiration, education, and connections you need to take Contact Centre Planning to the next level, through a mixture of inspiring keynotes, panel discussions, WFM best practices and networking galore.